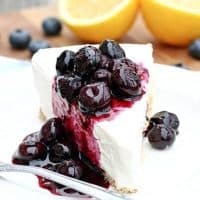 FROZEN LEMON CHEESECAKE WITH FRESH BLUEBERRY TOPPING — A cool, refreshing lemon cheesecake smothered in a homemade blueberry sauce. If you’re looking for a fabulous new dessert to try this Spring, look no further than this Frozen Blueberry Cheesecake with Fresh Blueberry Topping. There are so many things I love about this recipe. 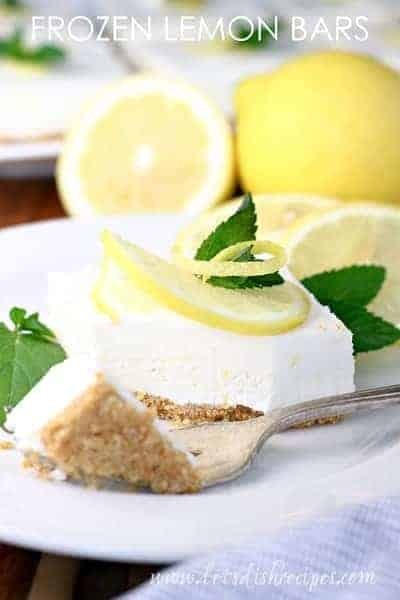 The creamy, cool cheesecake has just the right amount of sweetness, with a hint of tart lemon. And the fresh blueberry sauce is the perfect accompaniment! The cheesecake and sauce are both delicious on their own, but together, they’re a match made in heaven! Best of all, this dessert couldn’t be any easier to make. 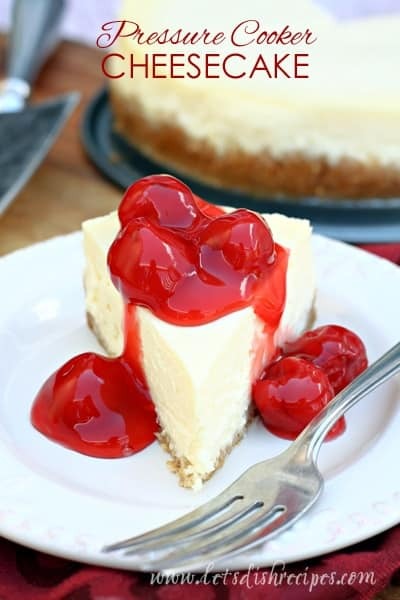 I love simple desserts that can be made ahead, and since this cheesecake goes into the freezer, it can be made weeks in advance. The blueberry sauce can also be made several days ahead and kept in the refrigerator. Of course, you don’t have to limit yourself to blueberry sauce. This cheesecake would be great with other berries too. Just remember, you do need to let the cake sit at room temperature for 10-15 minutes before serving. The longer it’s been in the freezer, the longer you’ll have to let it sit. 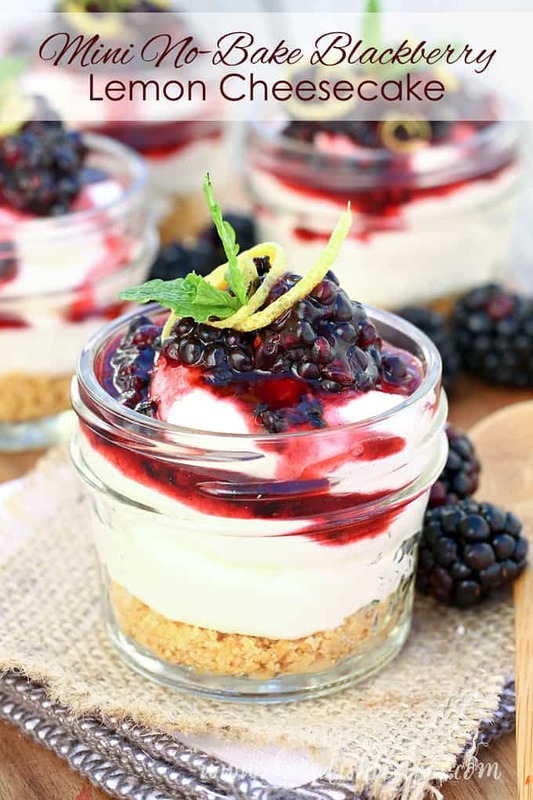 Be sure to save this Frozen Lemon Cheesecake with Fresh Blueberry Topping recipe to your favorite Pinterest board for later. 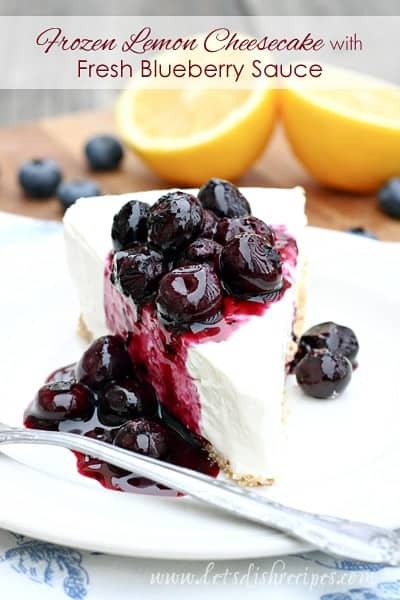 A cool, refreshing lemon cheesecake smothered in a homemade blueberry sauce. In a small bowl, combine ingredients for crust. Press into the bottom of a 9-inch springform pan. In a large bowl, beat the cream cheese with an electric mixer until creamy. Beat in the sweetened condensed milk, followed by the lemon zest and juice. Gently fold the whipped topping into the cream cheese mixture. Spread the filling evenly over the crust. Freeze for 6 hours or until firm. Meanwhile, combine the ingredients for the blueberry sauce in a medium pan. Cook over medium heat for 5-7 minutes, until a few blueberries just begin to burst and sauce thickens slightly. Refrigerate sauce until ready to use.